This blog post is Part 2 in a three-part series on the digital marketing funnel, including what it is, how to use it strategically and how companies are successfully implementing it. You can view Part 1 here. Today, the digital marketing funnel is the beating heart of online success. Everything flows into and through the funnel. It’s essential for successfully attracting leads, creating marketing-qualified leads, converting sales-qualified leads and maintaining quality relationships with customers. But, when it comes to funnels, one size does not fit all—and, when done right, your funnel will constantly be changing to leverage new opportunities and insight, and work more strategically. As the first blog post in this series explained, digital marketing funnels can take several forms, from a few basic steps to multiple steps (10 in our example) to a “flip the funnel” approach. No matter which format your company adopts, the methods to create a more strategic funnel that achieves greater results at every stage—attracts more, nurtures stronger and converts better—applies to all funnel formats. To turn more leads into customers, you need content. The right type of content educates consumers and builds trust as it moves prospects through the funnel. Your end goal should be to deliver the right content, at the right time, on the right platform and to the right audience. Here’s an overview of the three main stages of the digital marketing funnel. 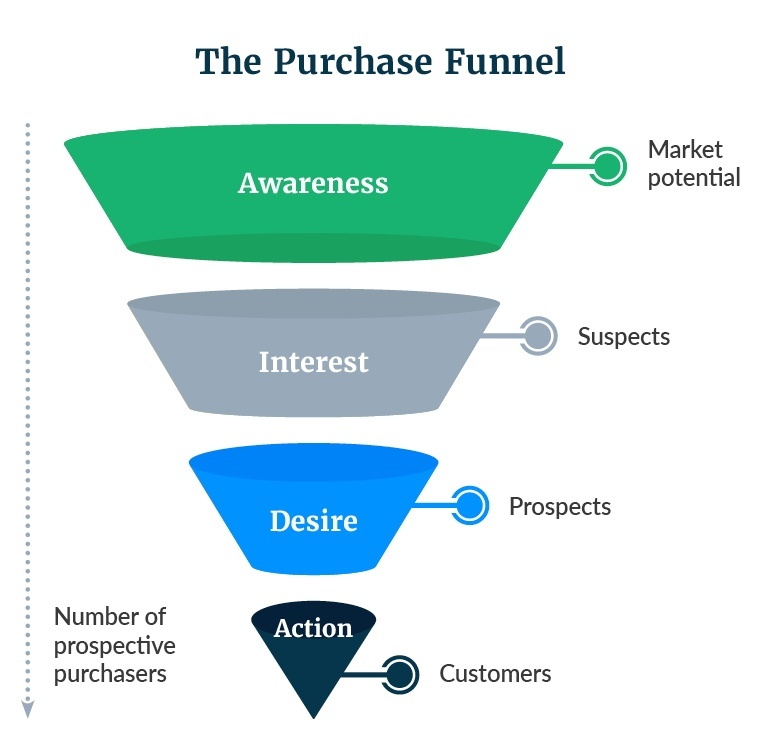 The top of the funnel is focused on awareness and providing value to prospects. The key to successful top-funnel marketing is content that not only helps to educate prospects, but also speaks directly to specific needs. It must move them from limited knowledge to understanding, all the while leaving them wanting more. Content ideas include: blog posts, webinars, videos, eBooks and infographics. Once prospects are in the funnel, it’s time to begin the nurturing process. At this stage, it’s important to educate prospects and build their trust. The key to success is delivering content that helps solve problems or answers questions. This will help leads move closer to making a decision. 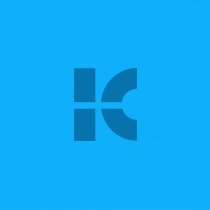 Content ideas include case studies, white papers, email campaigns and online tools (such as calculators). You’ve qualified prospects, educated them and built trust. Now you need to turn them into customers. Solidify your relationships and make it easy for them to take the next steps. Use content that overcomes their objections and communicates a bit of urgency. Content ideas include special offers or incentives, assessments and conversations with sales or company leadership. Too many business owners invert the 80/20 Rule (Pareto Principle) when it comes to content. They create more content that is sales-y versus informational, when it should be the other way around. Ideally, you should create a wide variety of content—videos, webinars, blog posts, infographics, etc.—that contain unique, fresh, timely and relevant information that solves real problems for your target audience. Often companies’ marketing campaigns are concentrated around building awareness and supporting conversion. But this focus leaves a weak middle. And this allows prospects to easily abandon the buyer’s journey. A new approach helps strengthen the middle of the funnel—creating “feedback loops.” This relates to a concept in systems thinking, which states that all complex dynamic behavior is produced by two loops: reinforcing and balancing. Behind every growth or decay is at least one reinforcing loop. For every goal-seeking behavior, there is a balancing loop. Applying the goal-seeking concept to the middle of the digital marketing funnel would reinforce leads’ impression of a company or brand. For example, if you were to listen to the conversations about your brand on social media, engage with the people talking, then capture their words in your marketing content, you’ll reinforce your messaging in a meaningful way. “Bucket” users into groups based on their lifecycle journey. This will help you speak to prospects with a clearer message, such as related to an action they just took. For example, not everyone who visits your website or downloads your app will become a customer, so don’t overload them with “buy now” and discount messages. Meanwhile, users who’ve shown added interest through engagement often need an extra nudge to take action, such as a personalized, hyper-targeted message delivered at the right moment. When you personalize your messaging, you make it immediately impactful to your readers. With email, for example, this increases open rates, shares and engagement and also sets the stage for them to become advocates for your business once they are customers. Consider sending emails to new customers requesting comments on why they chose your product. This will not only provide you with great content opportunities, but also boost their overall advocacy for your products over the long term. To be successful, conversion strategies need to rely on a solid lead generation campaign. In most cases, this still involves a form. You may think designing a form is simple and obvious. But creating strategic forms that support your strategic goals requires extra effort—the number of fields, the wording of the button, the colors and more all need to be carefully considered to boost the impact of your forms. Today’s most successful digital marketing funnels are data driven. Data can be extracted at each step of the funnel and analyzed. Then decisions can be made to improve the results at each stage. It’s critical to understand and derive insights from what users do (e.g., what categories and products they view) to gain valuable insight into their actions. This insight can then be applied to your funnel to improve performance. By analyzing your digital marketing metrics and results, and determining where the most success and revenue is generated, you can gain invaluable insight into the customer lifecycle. If you found, for example, that a certain campaign successfully moved a customer from one phase in the funnel to the next, you’re now empowered to use that campaign to achieve the same results for future customers in that phase of their lifecycle. All of your digital platforms must feed into and support your digital funnel strategy. While each channel likely caters to a different audience and has a different approach to communicating with buyers, the trick is to maintain a consistent brand image and messaging that supports core goals across all channels. Consistency in your brand experience improves audience recall and reinforces your story and messaging — and will drive more relevant prospects into your direct marketing funnel. It’s easy to get caught up with what may have worked well in the past. However, things can change frequently. As a result, it’s important to take a look at your data often and incorporate new insight. For example, if you want to convert more prospects, you have to take a scientific approach. Think of every element of your campaign and all possible variations: email subject lines, images, messaging, etc. Then, subject each element to rigorous and controlled testing, such as A/B tests. Through the rigor of testing, you can turn your digital marketing funnel into a strategic machine and a more powerful engine of your success. These 10 tips on honing your digital marketing funnel to perfection speak to the fact that setting up your strategy is just the start of your marketing journey. You must continue feeding the funnel the right type of content and extracting valuable insights. This approach will allow you to keep improving the performance of your funnel, so you can achieve optimum results for your digital marketing campaigns and your company’s short- and long-term business goals. Part 3 in this three-part blog post series will look at real-world examples for proving the power of your digital marketing funnel.